Resort Style Living in a GREAT location! Move right in! 2nd floor unit with amazing lake views. 2 bedrooms and 2 baths with high ceilings making the square footage very accommodating for a family, a winter retreat or a vacation getaway. Crown molding, neutral colors and you can simply move right in....furnishings are negotiable. Hard to beat this type of value in this price range. Parking and storage unit are under cover. COMMUNITY AMENITIES include newly updated Resort-Style Pool, shaded children's playground, Softball/Baseball/Football/Soccer Fields, Basketball Court, Community Center, Fitness Center, Picnic Area, Tennis and Pickle Ball Courts, newly updated Bocce Ball Court, Sand Volleyball Court and a Roller Hockey Rink. 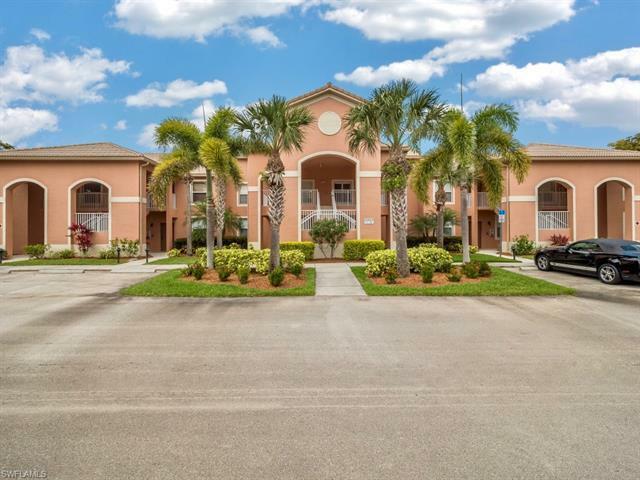 Fabulous location close to SW Florida International Airport, Florida Gulf Coast University, Hertz Arena, and Miromar Outlet Mall.